This is usually one of the first questions I get from people injured by a failed medical device. Typically a failed device like a hip or knee causes all kinds of health problems for a person. Often a revision surgery is necessary, and sometimes several surgeries. All this extra medical care is expensive. It also requires large amounts of time to rehabilitate and recover, which causes substantial time away from work. Some of my clients lose their jobs, or are forced to quit because they can no longer do the work. Meanwhile, the bills from surgeons and hospitals continue to pile up. First, no matter who is at fault for your failed medical device or harmful drug, the doctors and hospitals who provide you treatment will expect prompt payment of their bills. After surgeries, these bills often come fast and furiously. If you have health insurance you will need to arrange with the physician and/or the hospital ahead of time to file a claim for payment. But even if you have health insurance you will most likely be responsible for payment of a significant portion of the costs of your medical care (through co-pays, deductibles, and/or percentages of the medical bill not covered by health insurance). The surgeon or hospital will expect you to pay these amounts promptly. Usually a medical provider will freeze or postpone collections on an unpaid bill when it is made aware of the existence of a third-party lawsuit. That is to say, if the hospital is informed that the patient has filed suit against a medical device manufacturer, it will usually agree to forego collections until the lawsuit is resolved. Your attorney needs to get involved quickly in this process and inform all providers in writing of the legal representation, the lawsuit, and the expectation that collections should stop until the litigation is resolved. Get confirmation in writing. Most likely the provider will issue a “lien” against any money you obtain in your lawsuit, which means the doctor or hospital will expect to be paid when the settlement is reached. Once a lien is issued, your attorney will be required to resolve that debt when a settlement is reached. If for some reason the medical provider refuses to stop collections, you will need to work out a repayment plan. I get it: easier said than done when you are recovering from multiple hip surgeries and can’t return to work. But often a hospital will usually accept modest monthly payments so long as you make them each month. The provider wants to see that you will abide by the arrangement, even if the monthly payment is small. Typically in a product liability case you will resolve your lawsuit through a settlement, which is of course a negotiated “deal” that is struck between you and the manufacturer (and any other defendants). Very few medical device cases find their way to a jury. Once you reach settlement, the medical bills that you have not paid up to now will have to be paid. Doctors and hospitals do not forget. These medical providers have dedicated offices and staff to chase these payments to the ends of the Earth. So once you sign the Settlement Agreement, your attorney will have to arrange payment of these medical bills or medical “liens” promptly. In certain settlements, the defendant manufacturer will agree to pay outstanding medical liens for you. It goes something like this: after years of litigation, and after many months of negotiation, the plaintiffs and defendants in a large multidistrict litigation will come to an agreement to resolve hundreds or even thousands of cases. This will usually involve a settlement framework where the defendant company will pay certain amounts of money directly to each plaintiff who qualifies, and further, will pay the liens outstanding for these qualifying individuals. This is roughly how the Depuy ASR Settlement was constructed. It is a great thing when the defendants agree to pay off medical liens separate from the amount you as the injured person receive in the settlement; unpaid medical bills can be substantial, and paying them off with your own settlement money can take a huge chunk out of the amount you ultimately get to take home. After all, you are the one who has suffered—physically, emotionally, financially. Each dollar that you do not have to pay out of the settlement proceeds for medical bills is a dollar that you can use to pay off credit card balances, to pay down a mortgage, to cover other bills, or simply to save. If the agreement does not include the defendant paying off the medical liens, you will have to pay these bills yourself. Your attorney should assist you in negotiating with the hospitals and doctors’ offices, and usually these medical providers will agree to accept a smaller amount in payment of their liens, but not always. It is always best practice to have these discussions before you agree to a settlement. 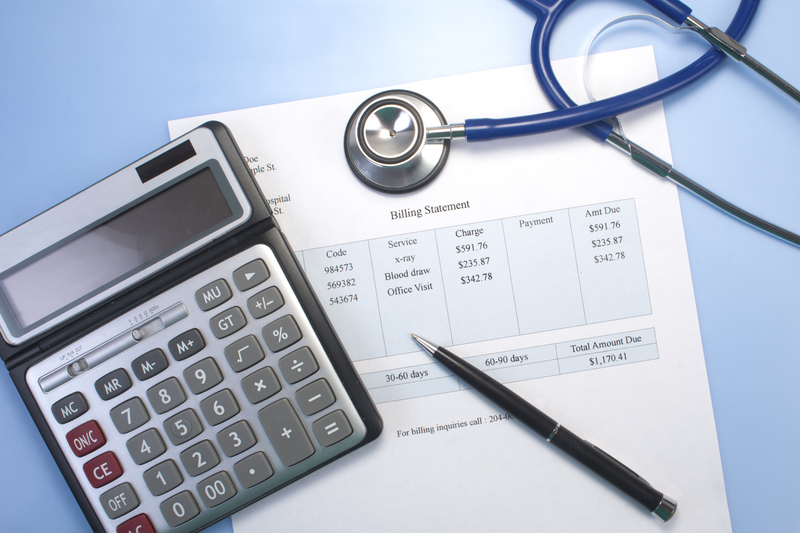 It is important to think about these medical bills, and who will ultimately pay these bills, when deciding whether to accept a proposed settlement agreement. Make sure you find an attorney who is aware of these issues and will walk you through the complex math before you make a final decision. In a later post I will discuss litigation expenses related to bringing a product liability lawsuit. Note: This is not legal advice. I do not refer to any specific case or client in this article. You can always call me if you have specific questions of your own: 919.546.8788.